Dr. Walter Ialacci founded chiropractic care of Windsor in 1984 with the goal of providing high quality chiropractic care, acupuncture, and nutrition services at a time when those approaches were less well known. "It has been gratifying to see science gain a greater appreciation for alternative medicine over the years. I am grateful to have helped so many of my friends and neighbors achieve better health as well as alleviating their pain and suffering." 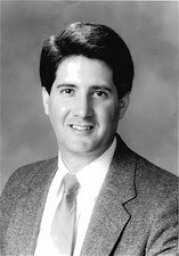 Dr. Ialacci earned his undergraduate degree in biologic sciences at Southern Illinois University and his doctor of chiropractic degree from the national university of health sciences. Dr. Ialacci is board certified in occupational health and as a Diplomate in acupuncture. Dr. Ialacci is a certified "Backsafe" injury prevention specialist and has worked on projects with Pratt & Whitney, the United States post office, United Airlines, and numerous smaller area businesses. "the highest calling of a specialty is to effectively prevent what it treats." In addition, Dr. Ialacci has completed post graduate training in neurology, rehabilitation, ART, and Graston soft tissue mobilization techniques. Dr. Ialacci has served as a member of the medical advisory board for the boxing commission for the state of Connecticut and for the Mashantucket Pequot tribal nation, and is the state representative for the American Association for Professional Ringside Physicians. Dr. Ialacci resides in the area with his wife Debbie and daughters Laura and Jessica.